Home » Aside » Left Handed- A Choice or By Chance? Ever since evolution, nearly 400 million years have been spent to craft the works of art of the two most crucial natural tools, God created. Tools are none other than our little smart fingers or hands. Yet, most of us end up being an expert to do tasks like writing, high fiving and most importantly texting with one hand. It is rare to see left-handed people. Both of our hands connects to perfectly functional arms, and seem completely capable. We might expect an even split when it comes to which hand we prefer. Handedness is not a choice, despite many may think. It can be predicted even before birth based on the foetus’s position in the womb. Does that mean it is genetic, since we said it is inborn? Well, the answer is both yes and no. Does Gene play a Role? Identical twins, having the same genes, can have different dominant hands. In fact, this happens as often as it does with any other sibling pair. However, the chances of being right or left-handed are determined by the handedness of your parents in surprisingly consistent ratios. If your father is left handed and your mother is right handed, you have a 17% chance of being born left-handed. However, two righties will have a left-handed child only 10% of the time. There are two distinct alleles of a gene, which causes handedness. An allele is a variation of a gene. One of those alleles is the D gene, which stands for dextral, meaning right. The other allele is the C gene, which stands for chance. The D gene is the most common in the human gene pool and the right-handedness of a person is attributed to the presence of this gene. Therefore, the presence of the significantly less common C gene will mean the person is left-handed. Nonetheless, it is known as the chance gene, because when it is present, the hand preference of the person will be random, and there will be a 50/50 chance of that person being left or right handed. This means there is a third class of handedness. There is a small percentage of people who have some degree of ambidexterity. Being ambidextrous means one is equally proficient with both hands. Since gene come in pairs, every human has one of the three combinations of the aforesaid D and C genes. The first combination is DD, meaning the person has a strong right-handed favouritism. The second combination is CC, meaning there is a straight up 50/50 chance the person will be either left or right-handed. The third combination is quite scarce- DC, one of each gene variation. People with both a D (right-handed) and a C (chance) gene, are usually most proficient with their right hand, but they are also perfectly capable using their left hand. People having the DC combination lie in the spectrum of semi- ambidextrous to fully ambidextrous. However, such people make only 1% of the population and they have a very rare set of genes. The roll of a dice determines the handedness but genes set the odds. Hence, we have a rational conclusion of the evolution producing this small proportion of lefties, and maintaining it over the course of millennia. Rendering to studies, today about one-tenth of the world’s population are left-handed and archaeological evidence confirms that it has been that way for as long as 500,000 years. With about 10% of human remains showing the associated differences in arm length and bone density, and some ancient tools and artefacts showing proofs of left hand use, this has been the rate of lefties. There have been several theories explaining why handedness exists in the first place, or for that matter why most people are right-handed. In the 1860s, French Scientist Paul Broca discovered that a region of our brains used for speech processing is usually located on one side. This is one of the theories that is most widely accepted as an explanation to this perennial question. Researchers believe that handedness is actually caused due to something called ‘brain lateralization’. 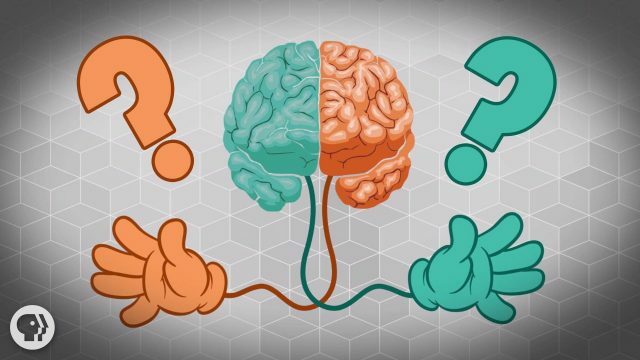 Our brain is divided into two hemispheres, left and right. To perform the tasks in an efficient manner, our brains like to use diverse regions for different tasks. Two of the most energy demanding activities that human do are language and using our fine motor skills. Therefore, our brain controls these activities through one side of the brain rather than the whole brain controlling the tasks. The left hemisphere of brain controls most people’s language and fine motor skills and each hemisphere generally controls the opposite side of the body. Being a leftie is not at all a bad news or a disorder, as some people say it. There are numerous benefits to being a left. Lefties are sought after in competitive sports, which involve an opponent, like combat or competitive sports. For example, about 50% of top hitters in baseball have been left-handed. Why? Because, lefties are minorities to begin with, both right handed and left handed competitors will spend most of their time encountering and practicing against righties. So, when the two faces each other, the left-hander will be better prepared against the right-handed opponent, while the righty will be thrown off. In addition, scientists are not quite sure why, but lefties are considerably more likely to being a genius than righties. For example, 20% of Mensa members are left-handed, which is a disproportionately large amount when you consider that only 10% of the population are left-handed. Some believe lefties are brighter as during the course of their life, they have been forced to use and train both sides of their brain instead of just the one. Moreover, an unusually high percentage of US presidents have been left-handed including Barack Obama, Bill Clinton, George Bush and Ronald Reagan. Even though in English dictionaries, the word ‘left’ is synonymous to sinister or evil, there are endless benefits of being a leftie. Next time if you are teased for being a lefty, just tell them that you stand high chances of becoming the president.